Amethysts are semiprecious stones in the quartz family. They are tinted lavender to deep purple by the addition of manganese and iron impurities to the quartz. Amethysts, the most valuable of the quartz gems, is designated as the February birthstone. The most valuable amethysts, known as Siberian amethysts, have deep purple coloring with flashes of blue and red. 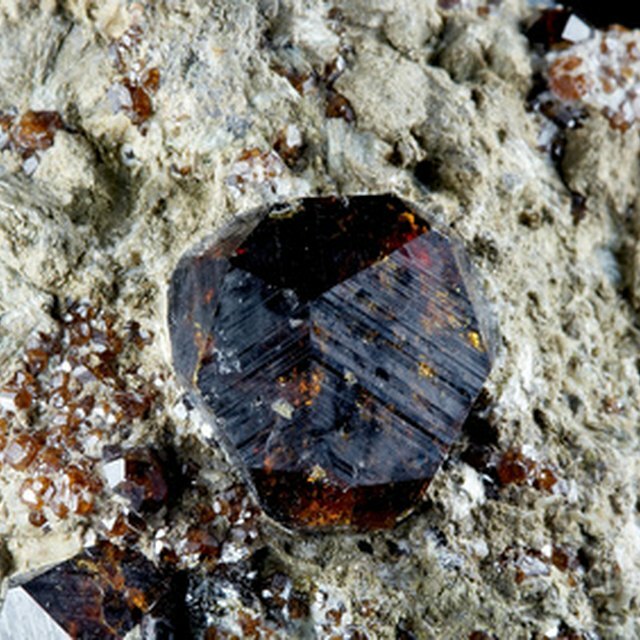 These gems are often found in or near other types of stones. Amethysts are often found near other stones from the quartz family. Citrine, a yellow-colored quartz gem, is commonly found in combination with amethysts. Amethysts are also found on top of clear and cloudy gray quartz. 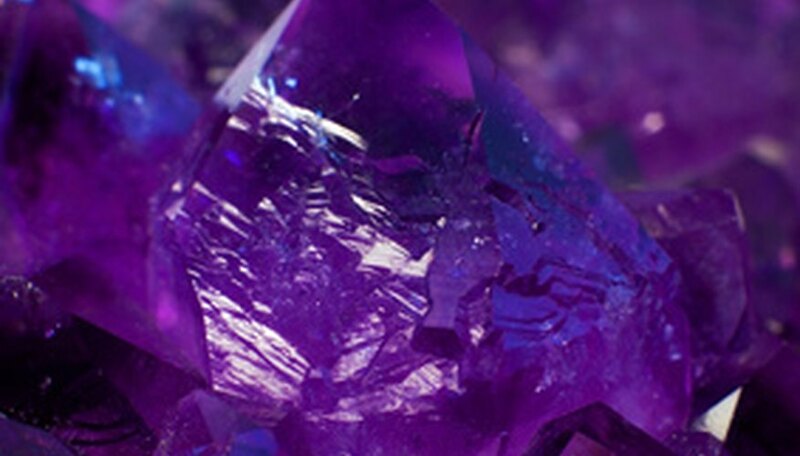 Irradiation from the sun or surrounding elements causes the chemical change that turns amethysts purple. Neighboring quartz that isn't exposed to the irradiation or doesn't have the necessary manganese and iron to cause the purple coloration will not become an amethyst. Amethysts form in long, prismatic crystals. The most prized place for collectors to find amethysts is in geodes, or hollow rocks filled with crystals. Geodes form in cavities of volcanic rock. As the rock cools and hardens, it's filled with hot substances for the surroundings--gases, mineral-saturated water and volcanic material--causing it to be hollow. As it cools and the substances distill out of the rock, the minerals in the water crystallize. The right minerals and water temperatures form amethysts. Murdock, Rachel. "What Type of Rocks Can You Find Amethyst In?" Sciencing, https://sciencing.com/type-rocks-can-amethyst-7646478.html. 24 April 2017.